Mexican voters go to the polls today to elect a new president and a new Congress and the Partido Revolucionario Institucional (PRI) looks likely to win both the legislative elections and the presidency in frontrunner Enrique Peña Nieto. Voters in six states and the Distrito Federal will also vote for a new governor. It’s been a bad century or so for you if you’re a Mexican leftist. Barring a huge upset, Sunday’s presidential and parliamentary elections are not going to change that. Despite coming within a very narrow margin of winning Mexico’s presidency in 2006, the candidate of the leftist Partido de la Revolución Democrática (PRD), Andrés Manuel López Obrador seems likely to do much more poorly this time around — despite a poll boost that’s seen him overtake Josefina Vázquez Mota, the candidate of the Partido Acción Nacional (PAN) earlier this month, and despite an anti-PRI youth movement, #YoSoy132, that has rallied opposition to the PRI (although not necessarily in favor of the PRD). López Obrador — or “AMLO” as he’s known in the media and among his supporters — is holding a large rally in central Mexico City today to wrap up his presidential campaign, starting on the Reforma, Mexico’s grand avenue, and marching all the way to the Zócalo, the central square of Mexico City. 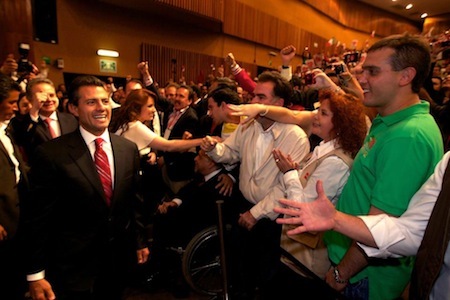 And while he may well come within single digits of the frontrunner, Enrique Peña Nieto, candidate of the Partido Revolucionario Institucional (PRI), it seems almost assured that 2012 — like 2006 and so many elections before it — will not be the year for Mexico’s left. 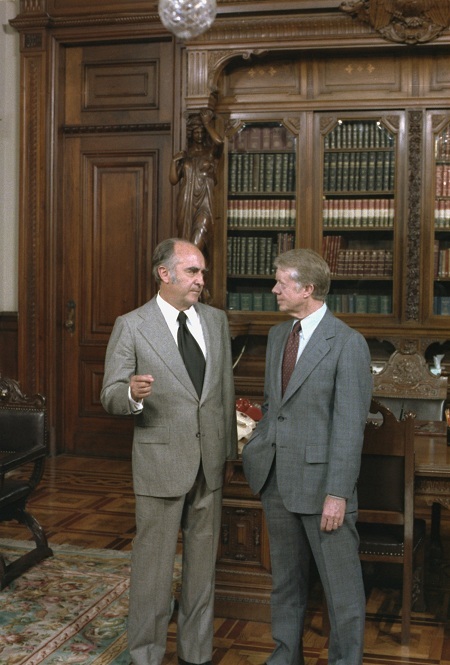 …here’s a throwback from the bad old days of the PRI era: José López Portillo, president from 1976 to 1982, who bears a striking resemblance to the character of George Bluth from Arrested Development. But seriously, Mexico is not going to go back to the López Portillo era if, as polls predict, the PRI sweeps elections on Sunday. 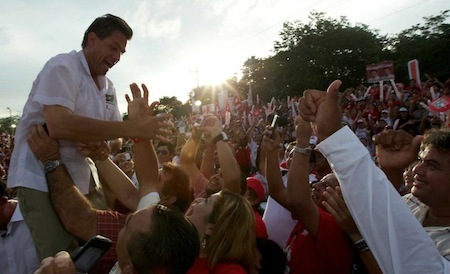 The presidential race’s outcome may seem all but certain, but the race for Los Pinos has nonetheless received much more coverage than the legislative elections that take place on July 1 as well — and are just as vital to the comeback hopes for the Partido Revolucionario Institucional (PRI). In addition to electing a president, Mexicans will elect 500 members to the lower chamber, the Cámara de Diputados, and 128 members to the upper chamber, the Senado. 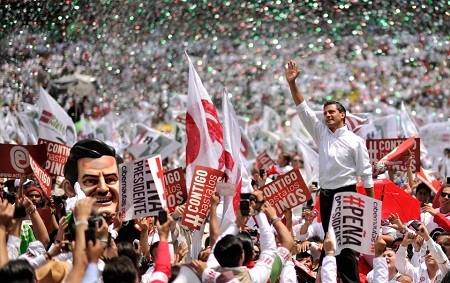 If polls are accurate, not only will the PRI’s presidential candidate, Enrique Peña Nieto, win, but it will also win an absolute majority in the Cámara de Diputados — the first time that a party has won an absolute majority since electoral reforms in 1996, which would give Peña Nieto the best environment in over 15 years to pass legislation in Mexico. 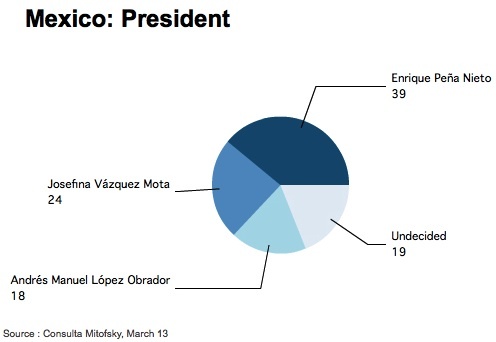 A Mitofsky poll released yesterday shows that the PRI and its allies would win 44% of the Congressional vote to 29% for the PRD and its allies and 24.5% for the PAN. 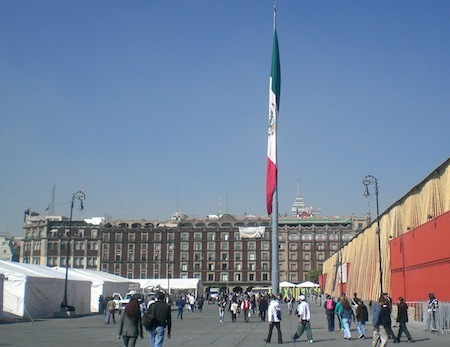 Although the conservative Partido Acción Nacional (PAN) has controlled the presidency since 2000, first under Vicente Fox and then under Mexico’s incumbent president, Felipe Calderón, it never controlled an absolute majority of seats in the Cámara de Diputados and only from 2000-03 and from 2006-09 did it even hold the largest share of seats. 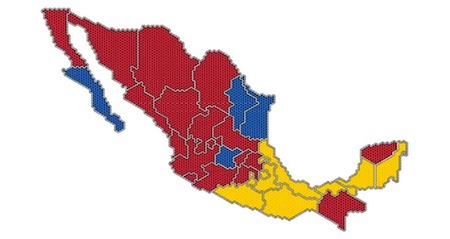 Given that dynamic, the PRI and the leftist Partido de la Revolución Democrática (PRD) have been able to unite in opposition to the PAN, frustrating the extent of Fox and Calderón to enact major reforms (although Calderón has passed minor tax reforms in 2005 and energy reforms in 2008). Under the current rules, 300 deputies are elected on the basis of first-past-the-post plurality in single-member districts. An additional 200 deputies are elected by proportional representation — each party that wins 2% is entitled to its share of seats. Although the outcome of Mexico’s tedious presidential race has long seemed inevitable, it has spawned a serious debate over how to revitalize the Mexican oil industry — and, in particular, Petróleos Mexicanos (Pemex), Mexico’s state-owned oil company. 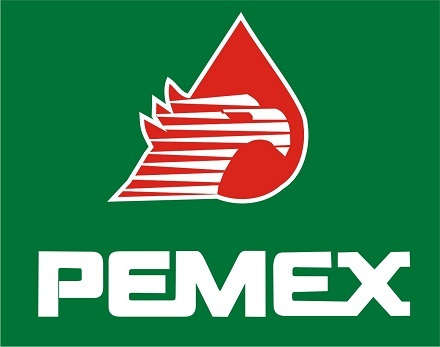 Pemex is the second-largest company in all of Latin America (recently displaced by Brazil’s oil company, Petrobras). 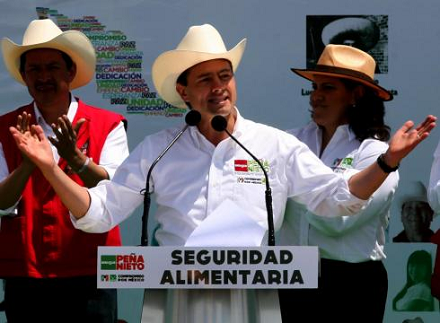 The topic featured in a debate earlier this week among all but one of the Mexican presidential candidates, and it has been at the forefront of policy discussions throughout the Mexican campaign. Pemex has long been a thorny problem for Mexico, the world’s seventh-largest oil producer. Pemex is the source of around one-third of the government’s revenue, but the taxes and royalties that it pays to the government (around 60% of its revenues) have left it crippled and saddled with billions in debt, to say nothing of the corruption that has plagued the company throughout its history. Gone are the days when Mexico’s first female presidential candidate, Josefina Vázquez Mota, could have transformed the presidential race with her historic candidacy with a high-profile break from the current leadership of her party, the ruling Partido Acción Nacional (PAN). Over the past month, the man to watch in the Mexican presidential election — except, of course, for the longtime frontrunner Enrique Peña Nieto, candidate of the Partido Revolucionario Institucional (PRI) — has increasingly been Andrés Manuel López Obrador, the leftist candidate of the Partido de la Revolución Democrática (PRD), who previously served as head of government of the Distrito Federal from 2000 to 2005 and who narrowly lost the 2006 presidential race to current PAN president Felipe Calderón. López Obrador led the 2006 polls throughout much of the campaign, much as Peña Nieto has led polls in the current presidential campaign, but narrowly lost after the PAN and the PRI launched negative attacks claiming that López Obrador would take Mexico down a path similar to that of Hugo Chávez in Venezuela. Although those fears were overblown, they were strong enough to deny López Obrador a long-anticipated win. Once regarded as a hopeless retread in the current campaign, López Obrador — or AMLO, as he’s also known in Mexico — has overtaken Vázquez Mota in polls for second place in the increasingly bleak race to become the main challenger to Peña Nieto. 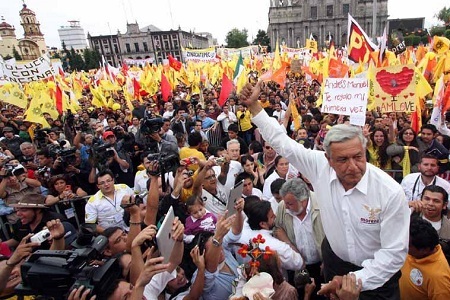 Despite his narrow 2006 finish, López Obrador alienated much of the Mexican electorate by loudly protesting the vote result for months afterwards, a tactical mistake from which he never quite recovered. So it was surprising, to say the least, when López Obrador placed just four percentage points behind Peña Nieto in a Reforma poll last week. Other, more reliable polls, show Peña Nieto with a steadier lead — Peña Nieto has led every presidential poll since last year — but also show an unmistakable rise in support for López Obrador. In one recent poll, he is even leading among independents and among college-educated Mexicans. Despite decisively winning the presidential nomination of the PAN (Partido Acción Nacional) in February and emerging in the Mexican presidential race with a flash, Josefina Vázquez Mota has spent the last week attempt to rejuvenate her campaign and unite the PAN in her cause, even as the latest polls show that Enrique Peña Nieto, the candidate of the PRI (Partido Revolucionario Institucional), remains the strong favorite to win the Mexican presidency on July 1. 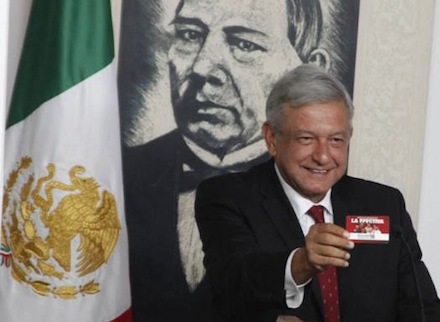 The latest polls indicate Peña Nieto leads with 38% of the vote to just 25% for Vázquez Mota and 19% for Andrés Manuel López Obrador, the candidate of the PRD (Partido de la Revolución Democrática), who came within a fraction of a percentage of winning the presidency in 2006. In the 12 days since the campaign formally started, Vázquez Mota has been plagued by missteps— the former education minister’s campaign was ridiculed when her team misspelled the Mexican state of Tlaxcala as ‘Tlazcala’ on Twitter, for example. She has tried to draw a line around her campaign this week, starting with a show of PAN unity. 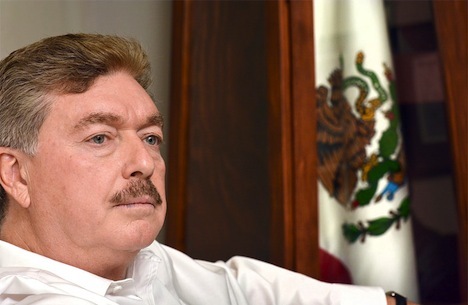 Her rival for the PAN nomination, former finance minister Ernesto Cordero, appeared at a press conference with Vázquez Mota on Monday, and Luisa María Calderón, the sister of outgoing, term-limited president Felipe Calderón, has been put in charge of the get-out-the-vote effort in Calderón’s home state of Michoacán. Cordero was viewed as Calderón’s favorite and the favorite of many of the PAN elite during the nomination race. Lo racional me dice que ahora lo que tenemos que hacer es de esa opción (el PRI) que puede llegar a la Presidencia, obligarla a ser buena, obligarla a que deje de sere nostálgico de aquel pasado, de aquellos niveles de corrupción y autoritarismo que vivimos antes, que sea una nueva generación de priístas. With the formal campaign for Mexico’s president yet to begin, a new poll in the Mexican presidential race shows that PRI candidate Enrique Peña Nieto remains the frontrunner with 39% of the vote to 24% for PAN candidate Josefina Vázquez Mota and 18% for PRD candidate Andrés Manuel López Obrador, with 19% undecided. The poll shows some movement toward Vázquez Mota and some very modest movement to López Obrador. Vázquez Mota made history last month by becoming the first female candidate nominated by a major party for president in Mexico. The poll shows that while Vázquez Mota has made some modest gains since her nomination, she will have to make much stronger inroads between now and the July 1 vote. 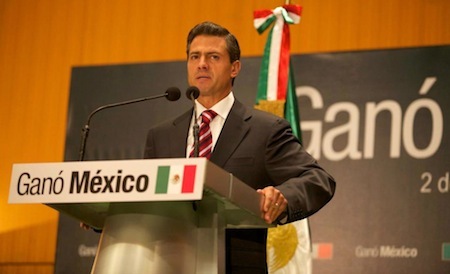 Alternatively, the poll shows that while Peña Nieto remains the favorite in the race, he is no longer the overwhelming favorite that he appeared to be throughout much of 2011. The race for the Cámara de Diputados (Mexican chamber of deputies) showed similar trends: 32% for the PRI, 22% for the PAN and 18% for the PRD. All 500 members of the Cámara de Diputados will be elected in the July 1 election, along with all 128 members of Mexico’s Senate. Deputies are elected for three-year terms, while Senators and the President are elected to six-year terms. In each case, incumbents are not allowed to run for reelection.